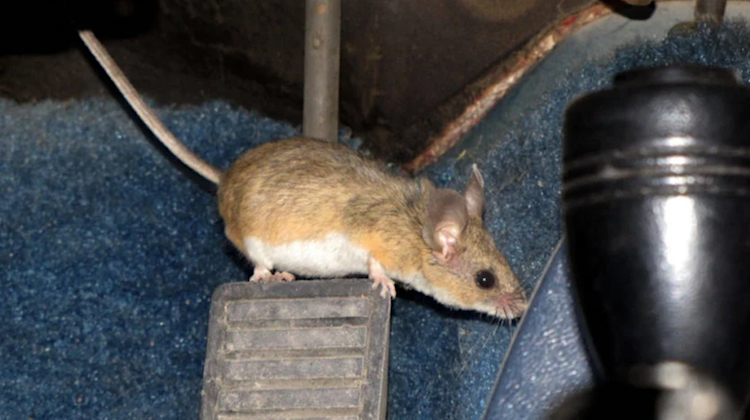 The National Pest Management Association just issued a warning to shop owners and motorists about mice taking refuge in car upholstery this winter. “Cars and trucks offer ideal places for refuge for rodents to spend the winter. Once inside, they are insulated from the cold and potential predators, and can easily gain access through vents, steering columns and pedal shafts,” said Cindy Mannes of NPMA. Common signs of mice infestations include gnawed upholstery and insulation, chewed wires and droppings. Vehicles parked in rural areas or near sewers are particularly vulnerable. Keep your shop and vehicle clean: Trash can quickly pile up and serve as nesting material for mice. Promptly address moisture build up: Water is a necessity for rodents to survive, so wet materials left in a vehicle will attract them. Eliminate entry points: A mouse can gain entry to a car through an open sunroof or cracked window. Keep them closed to avoid this problem. Check under the hood: Rodents build their nests near the engine due to the warmth it generates. Look under the hood to ensure invaders haven’t made their way in. Pay attention to the garage: Despite parking in a garage, vehicles can still be at risk for rodents. Keeping trash cans covered, eliminating excess debris, clearing clutter and sealing gaps will help keep your garage rodent-free. Auto shops should take precautions to avoid mice infestations, not just in cars but also fabrics and upholstery kept in storage. After all, one hungry mouse can ruin weeks worth of work in a single night. NPMA advises shop owners to hire exterminators to treat their garages before it gets too cold outside. For more winter tips, check out Haartz’s Winter Care Guide for Convertible Tops.